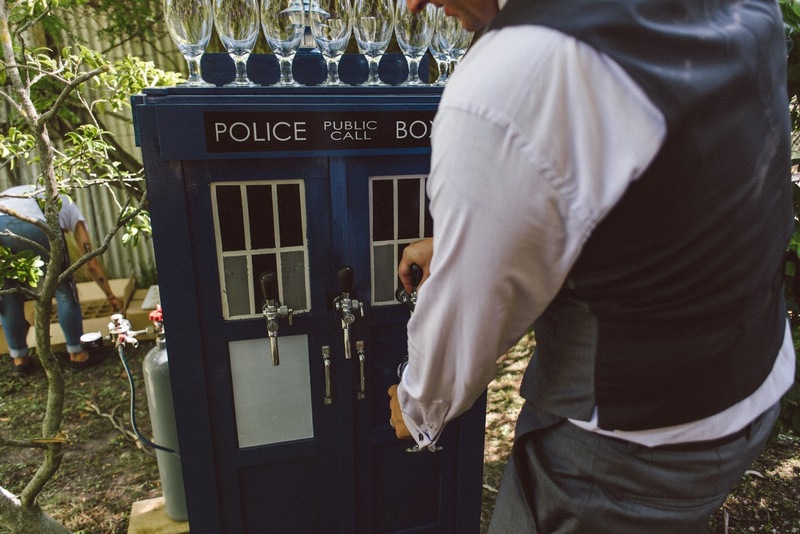 The Beer Crusade: Lets Get Married - A guide to Brewing Enough Beer for your Special Day! Lets Get Married - A guide to Brewing Enough Beer for your Special Day! Marriage: It's such a special day in your lives and you want to share it with your family and friends, right? 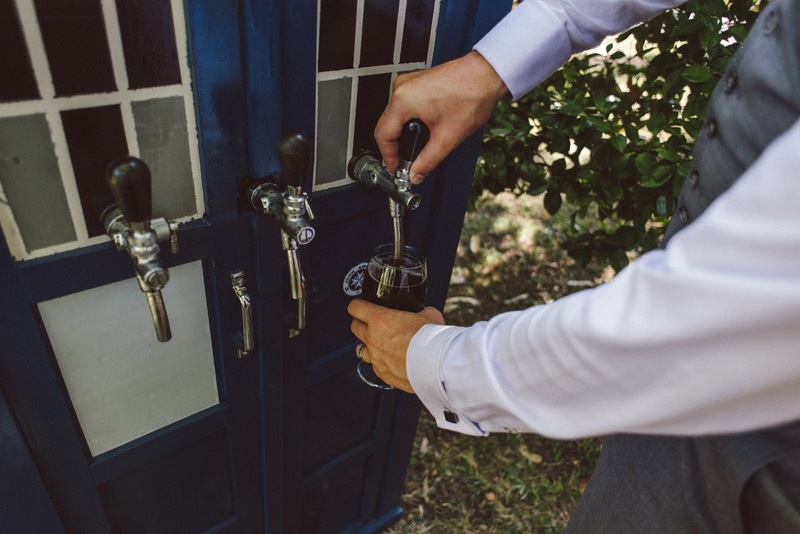 So, personal touches are really great, and as a home-brewer what better touch to give, than personalised beer for your very own nuptials. So, when I made the questionable decision to embark on this massive task. (and it was just that) I wanted to find another brewer who had done something like this previously, but I came up with only a small amount of information. So, here are a few tips for someone who is keen to make their special day even tastier, and more intimate. Will the venue chosen serve your beer? If you anything like us, we had it at the Family Farm, so liquor licensing and serving issues were not an issue. The place must be ok with serving your delicious hand-crafted beverage, but bear in mind that some places won't; or will at least be wary of doing so. Because, lets be honest if they won't do it, there is whole lot of fresh beer, which will probably take you some time to get through, unless you have a big party afterwards. So for us, we organised a shaded area which we called "The Beer Garden" and of course the area where dinner was served, which had a bar etc. Ensure you set these out accordingly, and allow space for your kegerator or serving apparatus. To make life easier, I would suggest that using a kegerator system or preferably two, to make it easier. To make sure your guests make it through the night, and their heads aren't too dodgy the next morning. Keep your alcohol volume lower, even though you could serve up some mighty fine IPA at 7%abv, but after a couple of pints it can take its toll. For example My highest abv beer, was 5.2%. Choose your beer styles carefully, having 5 Pale Ales and IPA's is all well and good, but you need to try and cater somewhat to your guests tastes. Something light, crisp and drinkable for those non-craft beer drinkers, something malty for those who enjoy the darker styles, generally the older generation of people. It's all up to you, you want to showcase what your capable of, so why not show why you brew your own. Make trial batches, test and refine these beers, it is sooooo important to make sure your consistent with your recipes, and refine to where you believe it needs to be. Enter the beers in local Home brew competitions, and let friends taste and evaluate your beer for feedback. If you win medals etc. it is just a bonus, and you can boast (like I did) about the beers receiving medals. Vary the serving techniques. I was able to get hold of an English style Hand pump/Beer engine from a friend, so I bagged a nice English Brown Ale, which has received a Bronze medal in competition. It a fun novelty idea to have your friends and family pullingtheir own pint in such a traditional way. This is where things get tricky. 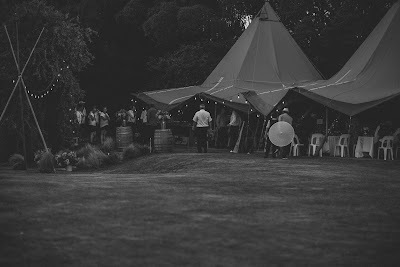 For me we had planned for 100 guests, and with two separate serving areas, the decision was made to make 3 5gal/20lit kegs for each area, with a 4th in a hand pump bag, in the "Beer Garden" I had approx 10-15 litres left over at the end of it all, so it was popular enough for people to drink most of it. So all I can say is assess the type of people who are coming, and take into account the season. If its spring / summer, lighter crisper styles are good and more of these will be needed. If you decide an autumn or winter wedding is what you want, people may choose red wine over beer, or consider brewing darker styles of beer to suit the climate. This one is off the beaten track a bit, as a number of home brewers aren't overly bothered with beer clarity etc. But it is something to think about. Like I said, cater for your guests, those people who drink the Budweiser, Speights or Tui's of the world like to see a nice clear beer. and lets be honest, who doesn't enjopy looking at a nice bright ale, or lager. This is simple, but still very important. Beer needs to be served in a nice glass, especially when you are serving at a wedding. By all means you can use Bottle and let people drink from them. The problem with this is you don't get the aroma or look of the beer fro mthe bottle. 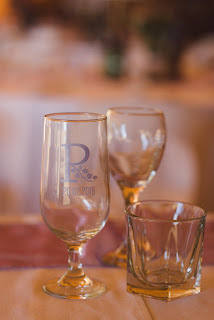 Normally your caterer or venue will provide a glass. If possible don't use pint glasses, a goblet or pilsner type glass is a great idea. Allow plenty of time to transport your kegs, kegerator, or anything else you plan to serve from. I used power, so if you plan to power your kegerator, make sure your prepared for that. Here is the most important Point, just enjoy yourself. Enjoy the brewing process, but most importantly, enjoy your wedding day, it is a (Hopefully) once in a lifetime thing, so enjoy it, and brew/drink the good beer you brew. I hope this gives you an insight and better idea of how to go about it.